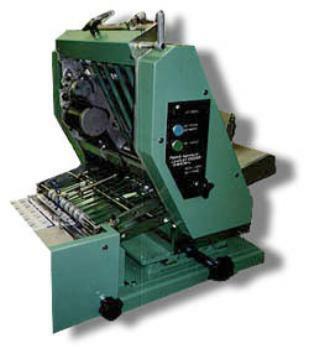 Micro-processor control allows for an automatic self correcting feature to be incorporated. This feature means that when the feeder comes to a product that is out of place in the stack, where most feeders would stop, this feeder will continue to feed correctly. Each feeder has a separate electronic control box which can be positioned anywhere within 1.5 meters of the feeder. The power supply requirement is 240v, 1ph, 6amps. Note ! We will customise any of these units to meet your exact requirements. This attachment is available for dispensing a number of items together. Each item may be fed onto a conveyer, dropped into a tray, box or carton etc. The feeder can be signalled from an external source, a photocell or sensor, to remain in synchronisation with any another piece of equipment. It feeds on a demand signal, the signal can be made to dispense one or a predetermined number of items as required. 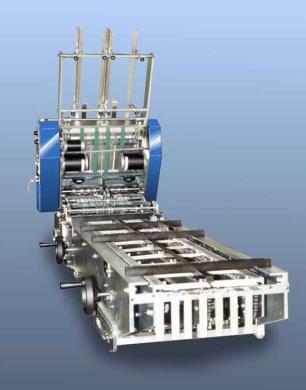 The unit can be supplied in a twin-single stream version, feeding either two labels side by side or a single stream down the centre line of the conveyor. When feeding a twin stream there is a small gap between the labels on the centreline of the machine. Incorporating a standard Friction Feeder. The lug conveyer can be changed to (3”, 6”or 9 inch spacings). A quick change-over method by means of a selection collar on the side of the machine makes this possible. The whole assembly will slide backwards to accommodate the longer label lengths. Range of labels that can be fed.